Firstly, sorry about the pun, my Dad would be proud. Secondly, edamame is a recent snack discovery of mine. 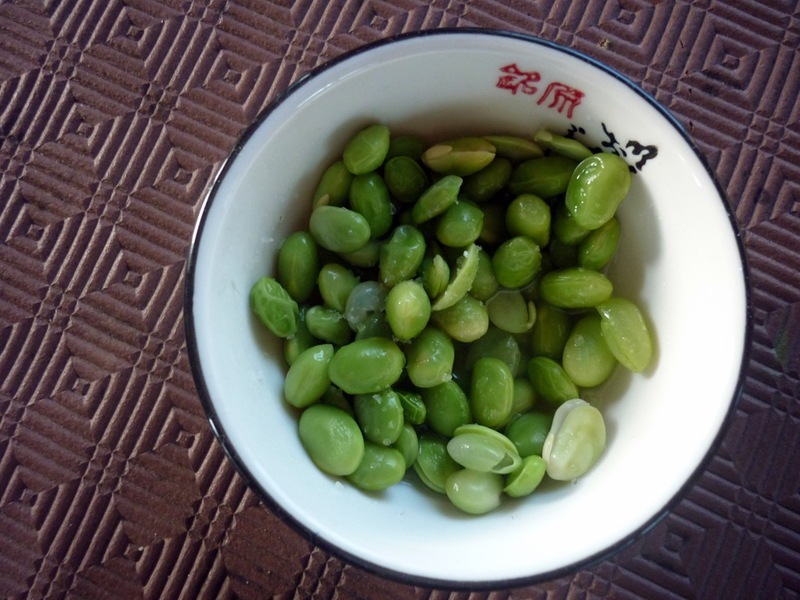 I’d eaten edamame (immature soy beans) in Japanese restaurants but recently found you can buy edamame from the frozen section of most supermarkets. They are easily prepared by microwaving or steaming them. I often throw edamame into stir fries, but my favourite way to enjoy edamame is on their own with a bit of salt and vinegar. Sounds strange but it’s strangely addictive and it’s very satisfying to know that a snack that tastes so good is good for your body too. Usually I prefer fruit over vegetables since I have such a sweet tooth. This is definitely an exception!